Disclosure: This post is sponsored by Huggies. As always, all opinions are my own. As soon as the first trimester uneasiness starts to subside, most new moms start to focus their attention on getting ready for the arrival of their baby. A highlight of all that expectation is preparing the nursery and setting up the baby registry. For moms like me that have family and friends spread out all over the country and even internationally, it’s important to have a well-curated list online that allows anyone to be part of the gift-giving to welcome in the little one, and that also meets the needs of new parents entering this stage in their life. The first time you go through the process of selecting new baby essentials for your registry can be incredibly overwhelming. We worry about safety, price, durability, ratings, comfort, and so many other things. Now there are great tools like Huggies Respuestas de Mamá and the very useful Guía Bienvenida a tu Bebé that provide lists and endless information to help new moms. It’s also wise to spend some time researching and polling your friends for recommendations on the pricier and most-used items like your baby’s crib, car seat and stroller. Besides those three essentials, here are 10 more that all new moms should include in their baby registry list. Of course you know you’ll need diapers, but you probably still don’t realize exactly how many diapers a tiny person feeding on milk can go through in a day. 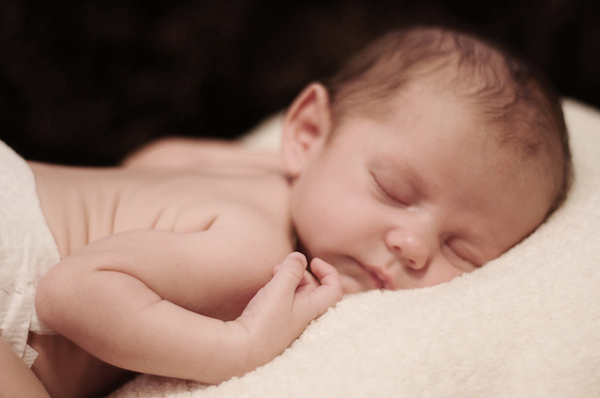 Huggies Little Snugglers and Huggies Natural Care Wipes are essential to stock up on, especially for newborn babies. This sounds a bit obvious and you might think that you’ll probably be gifted so many of these that there’s no point to get more. Trust me on this one — you can never have enough onesies. Put on your registry many options from sizes 0 months-1 year. Infants are messy by nature and you’ll be glad to always have a new and fresh onesie in his dresser and diaper bag to grab at a moment’s notice. These are a life-saver. Babies sleep so much better when they are wrapped snug and tight. Stock up on these for the first months and make sure to get the appropriate thickness and fabric for your climate when your baby is born. This item will become an essential part of your personality and style for a while. The best diaper bags are a bit pricey, but most are worth it. You want a bag that’s durable, easy to clean, that has many easy to reach compartments to keep things organized, and one that both you and your husband will feel comfortable carrying around. Want a few minutes to yourself to grab breakfast or even attempt to shower? Get a baby swing or a bouncy seat! Babies love the constant motion and laying them in one of these is very soothing to them. Swings may take up a lot of space, but you will not regret it. Even if you plan to breastfeed your baby, you should have a set of baby bottles to use at any time. There’s no doubt that babies need to be as close to you as possible, and nothing calms them down more than being next to you. However, mom also needs to get things done and use her hands. Make sure you have a few slings and/or carriers and find the most comfortable one for both you and baby. Nowadays, these come with so much range in technology that you’ll have to select based on your needs. You might consider choosing one with video so you won’t have to open baby’s door to check on her once you’ve finally put her down to sleep! At first they look like just a fancy trash can, but the reality is that diaper pails are made to keep both the sight and odors of your baby’s multiple daily dirty diapers far away. You’ll want one. This one you’ll have to test out for yourself before you add it to your registry. It might be a pricey gift for one person, but perfect for a group gift. Make sure the chair is comfortable for you to sit in while holding a few pounds for a while and that the movement is effortless. Join Huggies and SpanglishBaby in San Diego! Thanks for sharing that, Natalie! It’s a subject that I’m very interested in. By the way, your contents are very interesting, I congratulate you for that. Great Blog really, I like this blog so much.